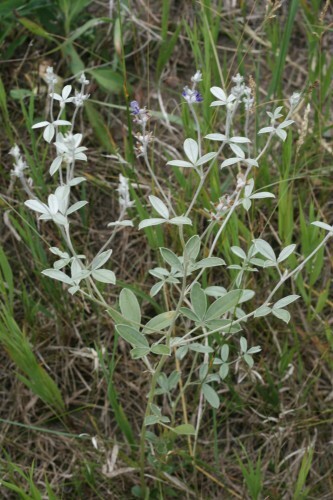 This legume has blue flowers in late summer. The leaves vary from green to silver. At the end of the growing season the stem snaps off and this plant becomes a “tumbleweed”. Reproduction. Mostly vegetative; limited seed production. Breeding system. Has flowers with pollen, but its system is unknown. The USDA Plant Page for Psoralea argophylla. 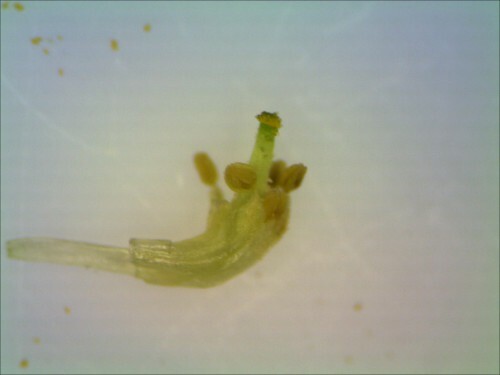 In a breeding systems study in 2010, Greg Diersen found no seeds produced by out-crossed pollen or by self-pollination.